Outgoing diva Namie Amuro's DVD hits stores with pre-orders of 1.1 mil. 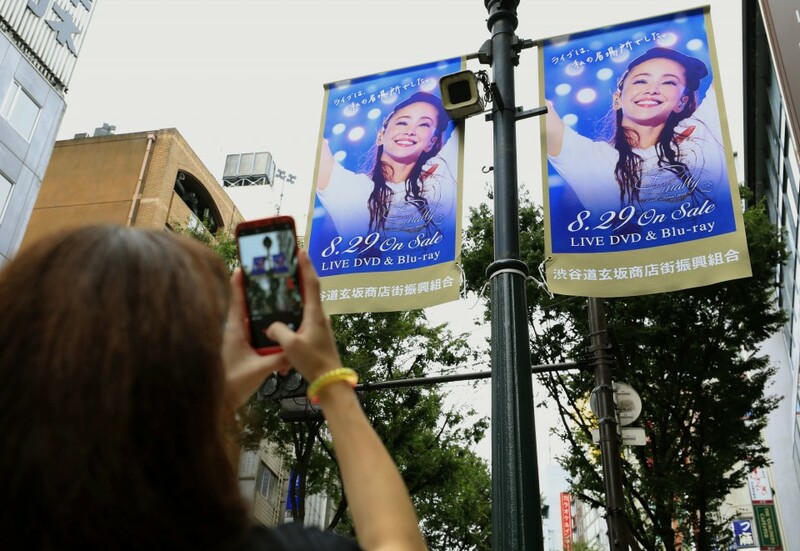 With about half a month left before the Sept. 16 retirement of Japanese pop singer Namie Amuro, a new DVD and Blu-ray disc capturing her last music tour hit stores Wednesday, with the product already drawing pre-orders of more than 1.1 million. Together with orders from sales outlets, the video "namie amuro Final Tour 2018 Finally" has received more than 1.7 million orders, making it the first concert video to eclipse the 1 million mark in Japan, according to music companies. About 20 people lined up to buy the DVD in front of a Tsutaya music shop in Tokyo's Shibuya district before the opening of the store. 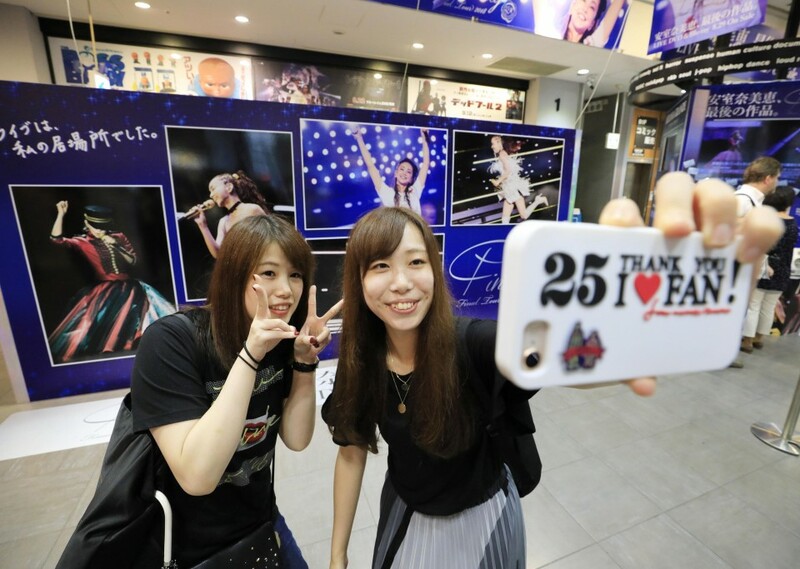 The first floor was filled with posters of Amuro, who has a strong fan base in Asia, and fans wrote farewell messages for the diva on a board. "(Amuro) cheers me up whenever I am depressed. I'd like to support her decision to retire, but will surely miss her," said Rie Matsunaga, 28, who came to the shop from Oita Prefecture. Her friend Honami Mitsunaga, 24, from Fukuoka wrote on the board, "I love you." A 40-year-old woman who came to buy the DVD also in Shibuya said (Amuro) "will always be with us in our hearts even after her retirement. I wish her happiness in the next chapter of her life. She is my role model." Amuro, 40, surprised fans last September by suddenly announcing on her website that she will quit showbiz on Sept. 16, 2018. The announcement came after she marked the 25th anniversary of her music career. Debuting in 1992, Amuro became one of the country's leading stars, with a string of hits including "Chase the Chance," "Body Feels Exit," "Sweet 19 Blues," and "Can You Celebrate?" Clad in a miniskirt, thick-soled boots and with her hair dyed brown, Amuro also became a fashion icon, creating a phenomenon known as "Amuraa" in the 1990s, with many young girls and women copying her fashion, hairstyle and makeup. A CD of her past hits released after the retirement announcement has sold around 2.27 million copies and her final tour, which began in February, has drawn about 750,000 fans in Japan alone, a record for a solo artist in a single music tour in the country. More than 300,000 people have visited exhibitions featuring Amuro's stage outfits held in Tokyo, Osaka, Fukuoka and Okinawa. The singer will play her last concert on Sept. 15 in Okinawa, the southern prefecture she was born and raised in. "We will never see a star who is comparable to her," said Megumi Ushikubo, a critic on trends and generations. With the spread of the internet and social networking services in the 21st century, which enabled singers to send out information on their private lives online, there is little chance of producing superstars whose admirers would fantasize about them, she said. Amuro, however, has shunned exposure of her private life and seldom appeared on talk shows. While many women in Japan leave the front line of their work after marriage and childbirth, she further honed her singing and dancing skills from her 30s after giving birth to a son when she was 20. Her "unflattering and consistent way of living" has gained support, Ushikubo said. "Her performance and behavior show her efforts behind the scenes and her high level of professionalism. That's why her support base has broadened to men and those in their 40s and 50s."